Now in retirement, former Lord Justice of Appeal Sir Stephen Sedley has written a powerful essay entitled "Judicial Politics - Stephen Sedley on Separation of Powers." The text has been made publicly available via the London Review of Books and, given the legal eminence and experience of the author, it is well worth reading in full. Here is an elegantly written antidote to the 2011 F A Mann lecture delivered by Jonathan Sumption QC who has now taken his seat as a Justice of the Supreme Court - "Judicial and Political Decision-Making: The Uncertain Boundary." (Lord Sumption made the speech after being selected for the Supreme Court but before being sworn in).
" ... the effect of the kind of critique advanced in this lecture is not neutral. It harms the standing of the judiciary and confidence in the law, just as it would do if a judge, naming no names and citing no instances, were to deliver a public lecture on the perils of judicial corruption. Smoke, in the public mind, means fire. Nobody who knows the history of English public law would deny that there have been decisions which smack at least as much of politics as of law: the condemnation of the Poplar councillors in 1921 for paying men and women equal wages, for example. But that is a long way from the charge that modern public law judges, lacking any jurisprudential compass, routinely cross the boundary separating law from politics." There is more in the lecture: a critique of the European Court of Human Rights for trying to make one size fit all – a problem the court itself is well aware of and has been grappling with for decades – and a perfectly tenable argument that the modern growth of public law has been stimulated by a perceived deficit in the democratic process. But there is a possibility that the central allegation of repeated judicial intrusion into the business of government will be seen as a political incursion into the business of adjudication. One leaves the lecture reflecting that if we had parliamentary confirmation hearings for new judicial appointees (something Sumption rightly opposes), this is the kind of manifesto we would get and that politicians would probably applaud. What would happen to a candidate who stood up for the integrity of modern public law and for judicial independence within the separation of powers is anybody’s guess. For me, Stephen Sedley ranks as one of the finest legal minds of modern times and he is a very fine writer. Upon his retirement, Sir Stephen's book "Ashes and Sparks: Essays on Law and Justice" was published. See also the earlier Law and Lawyers post - "Judicial Review: Keep out of politics ... but can the judges do so?" 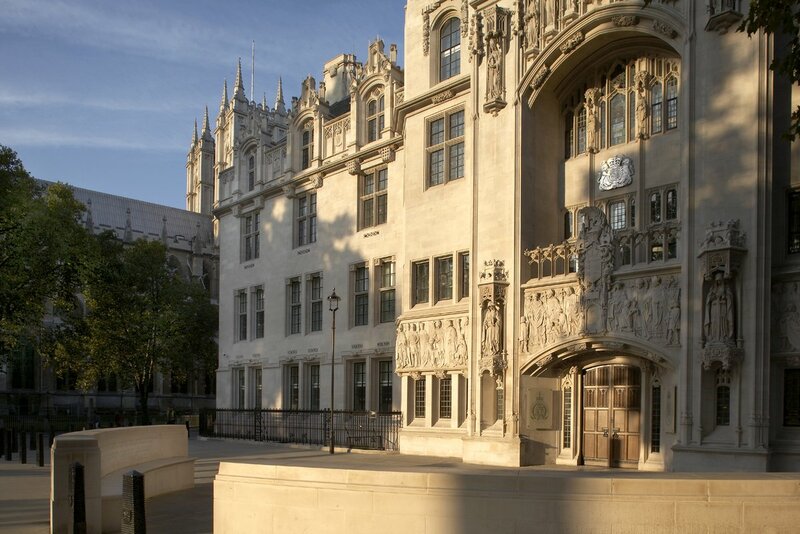 Other links - added 20th February: The UK Constitutional Law Blog has published "Lord Sumption and judicial responsibility" and "What role should judges play in the constitution Lord Sumption?" These articles look at the views of Lord Sumption as expressed in the F A Mann lecture. The first article is by Tom Adams - Law Lecturer St. Hilda's, Oxford and the second is by Stuart Lakin - Law Lecturer, Reading University. Following the Hull Prison riot in 1976 the excessive punishments meted out by the Board of Visitors were challenged in St Germain (No1)(1979). This was followed by O'Reilly v Mackman, which saw judicial review brought back from the dead. I do not agree with having to seek permission to take the State to court. Sedley as a QC was a good defender of prisoner's rights. However, when he sat with two other judges as I sought to appeal against an adverse jr decision I felt he had sold out. I am a believer in J.A.G. Griffith's Politics of the Judiciary. And Harlow and Rawlings theory that judges are either red light or green light theorists, the former believe in curbing State power whereas the latter give the State free reign. In my experience of jr the judge is not impartial and tends to act as the goalkeeper for the Secretary of State. Therefore, I have to beat him as well as the other party. Sumption's appointment appears to me like the State is packing the UKSC with State friendly judges. Even allowing for Sedley's crossing over to whatever extent, his critique of Sumption displays that there is a need to introduce Montesquieu's model of a Separation of Powers. The present fusion of powers is one of the reasons that the Prisoners Votes Case has not been complied with in over 6 years. More on this topic. "Sumption is an unusually bright lawyer". So, lawyer's aren't usually bright? Stuart Lakin: What Role Should Judges Play in the Constitution Justice Sumption? Apologies. I did not see the update until I posted the above link. I got useful information from this post. Retrospective law-making - is it catching on?